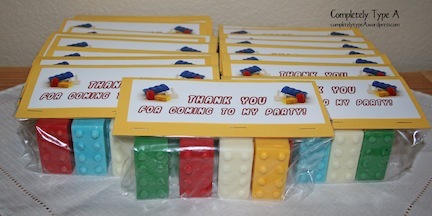 So we had a rockin’ Lego Party at our house. I’ll just go down the list of all the fun activities we did. Everything was a hit, keeping 12 kids entertained. Wheew! I had big tables set up with piles of legos down the middle. As kids arrived, we directed them to sit and play. Once everyone arrived, we began a Lego Challenge. 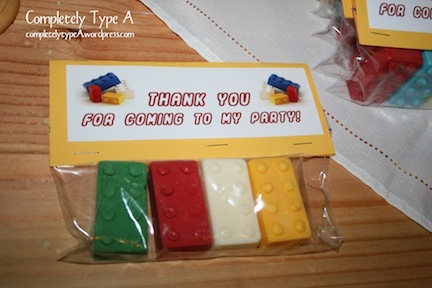 As kids completed making an item on the list, they yelled “Done!” and recieved a treat for their efforts. This was a huge hit. 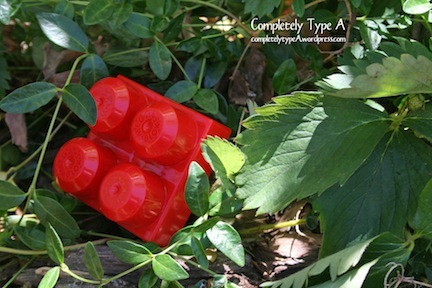 We then went outside for a Lego Hunt. I used the large mega blocks so they’d be easier to find. 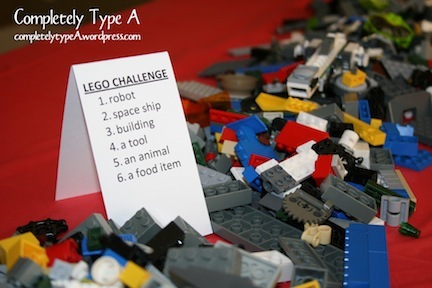 The kids hunted for Legos, then had to build something with what they found to get a prize. You could also put small Legos in Easter eggs and do the same thing. 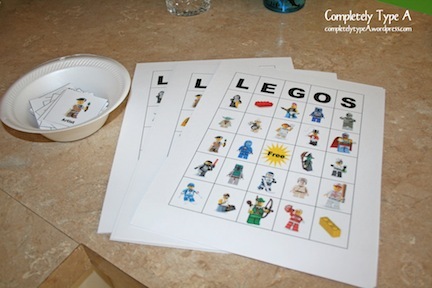 We next did Lego Bingo, which was SO fun. We sat at the same tables as the Lego challenge, and used Legos as markers on the cards. Thanks Big D &Me for the awesome download! 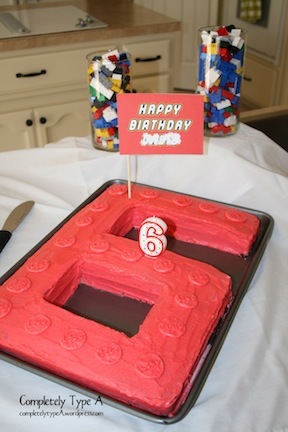 My friend made this amazing Lego cake, bless her. Honestly, this was one of the most fun parties I’ve ever done. If only Legos didn’t hurt so badly when I step on them.